Not quite done with adding items to his ‘to-do list’ for the coming year, Family Guy creator Seth MacFarlane has been given the chance to host the Oscars live on ABC early next year. 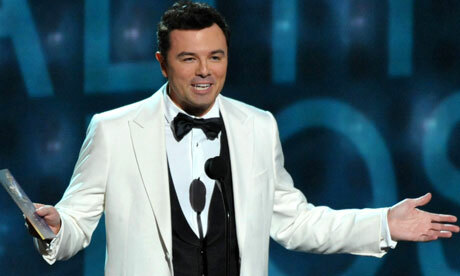 While this year’s (84th Academy Awards) ceremony saw ‘controversial’ comedy in the form of Sacha Baron Cohen’s ‘Dictator‘ appearance, the organisers of the 85th edition of the event, which will occur on Sunday 24 February 2013, will feature a similar comedian in a much more direct role through MacFarlane, who will be hoping that his 2012 comedy Ted (in which he co-wrote, executive produced, and motion-capture/voiceover recorded the titular character) is also involved in the ceremony as a nominated title. The event is due to occur in the Dolby Theatre in Los Angeles (USA), with the organisers likely to not want too many ‘negative headlines’ such as those produced in hosting performances by Ricky Gervais in recent years.